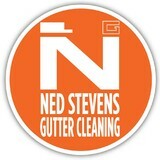 When you choose Ned Stevens for your gutter cleaning, gutter repair, gutter installation, and other services, you can count on exceptional quality of work and outstanding customer service. Our labor staff are all our own employees, and we train them in our state-of-the-art training facility focusing on quality work that's always 100% Guaranteed. Book your appointment today! 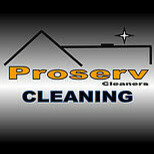 We specialize in improving your home's appearance through window cleaning, pressure washing and gutter cleaning. Our number one goal is to create customer loyalty by satisfying each customer's demand for quality service and experience. Kirkpatrick Window Cleaning offers a full list of services to help you maintain your home or place of business. We offer personal and reliable assistance to all of our customers. We take pride in our work and want our customers to be happy with the experience when the job is completed. You already know that upkeep on a home takes time and energy that many of us can’t afford. You would love for your windows to sparkle and for your siding to be nice and clean, but who has the equipment and expertise to properly maintain them? With periodic pressure washing and window cleaning, we can restore the beauty of your home once again. 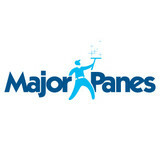 Offering professional window cleaning and pressure washing services, Major Panes is Raleigh’s premier cleaning company for both residential and commercial properties. Window Cleaning Raleigh,NC EZ Flow Window Cleaning services Raleigh, Cary, Durham, Chapel Hill, Garner and Wake Forest. We also specialize in Gutter Cleaning, Pressure Washing, and Roof Cleaning. I have over 10 years experience in the business. You can count on us to go beyond and deliver quality service. EZ Flow Window Cleaning Service in Raleigh, Durham, Cary, Chapel Hill, NC We provide cleaning of all types of windows, even the hard to reach ones of your home. You can rely on EZ Flow Window Cleaning to take the utmost care of your residence as we clean your windows. We wear fresh shoe covers as we enter your home and use cloth pads under each window as we clean it to protect your carpet and wood floors. We work quietly and quickly as we move from room to room to cause the least disruption. We even introduce our team to you before we start cleaning so you know exactly who will be giving your windows a spectacular shine. Our professional window, gutter cleaning, and roof cleaning services always puts customer service first. When you choose us, we will make sure everything is done the way you want it. It is our goal to leave every project knowing you are pleased with our work. We are a locally owned and operated business specializing in window cleaning, pressure washing, roof cleaning, and gutter cleaning with over 10 years experience in the business. GET AN ESTIMATE FROM US IN RALEIGH, NORTH CAROLINA, AND LET US USE THE LATEST TECHNOLOGY TO PROVIDE YOU WITH OUR FAST, FRIENDLY, AND RELIABLE WINDOW CLEANING SERVICE. Making a clear difference since 1993. We go to great pains to give you Great Panes! Great Panes Window Cleaning has been a leader in residential and small commercial window cleaning in the Triangle for over ten years! Trusted by thousands of your neighbors, we'd love to help you see more clearly. Thank you for your interest in Mo'Better PowerWashing! We are a fully licensed and insured exterior cleaning and restoration company who specializes in power-washing / pressure-washing. We strive to serve the residents and businesses of the Charlotte area, but will also travel where ever needed. Our unique cleaning methods involve using state-of-the-art equipment, Eco-Friendly cleaning agents, and good ol’ fashion “elbow grease” when the job calls for it. We are able to safely and effectively clean any exterior surface without the risk of damage. With our 100% satisfaction guarantee and attitude of”Excellence in Quality” on every job, we guarantee that you can "get no better service than Mo'Better PowerWashing!" Why do so many homeowners choose TLC Window Cleaning Service for their window cleaning, power washing and gutter cleaning needs? Our attention to detail and unsurpassed quality has made us the first choice for homeowners throughout the greater Cary & Raleigh area. 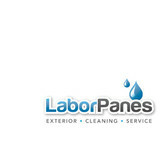 Thank you for visiting our site and considering us as your home services company. All of our hard-working crew members arrive on time, are extremely courteous, and respect the privacy and wishes of each customer. Experience quality window cleaning, power washing and gutter cleaning like no other. My name is Dave Levitt and I'm the owner of The Glass Cleaners. I know what it is like to want good service and have nice things to take care of. Service is an art in and of itself. I have alwyas prided myself on providing honorable, quality service to all of my customers. I'd like to give you a little bit of my background. I started my own window cleaning business right out of college at California State University Los Angeles. I started my business in my hometown of Malibu, working hard and taking the occasional surf break. We focused on cleaning the windows of beach homes, estate homes and storefronts. Eventually, my business expanded to include the Westside, Santa Monica and Hollywood. The business included high-rise and mid-rise commercial buildings as well as luxury residential homes. I was lucky to have been able to clean the windows on some of the most interesting architecture in Los Angeles. About 15 years after I got started in Malibu, I decided to sell my L.A. window business to my buddy Dan (to this day, "Dave, the Window Washer" is one of the most successful window businesses in Los Angeles). In 2006, my family decided to relocate to the Raleigh, North Carolina area for a better quality of life. My wife, Tracy, helps me run the company (and she is also a real estate broker). The Glass Cleaners was born and has become a Raleigh window cleaning institution. I take a good deal of pride in my company and I know what you want. You want a company that you can trust in your home. You want a company that will treat your house, your furniture and your landscape with the respect that it deserves. You want professional, trustworthy, customer-oriented window cleaners who believe in doing quality work on your home or building. CubeCleaning is a professional window washing team. We provide window cleaning services in Raleigh and surrounding areas such as Cary, Apex, Knightdale, Durham, Carrboro, Chapel Hill, Morisville, Garner, Holly Springs... We are oriented on residential window washing and gutters cleaning. We are working night shifts if it's necessary to get the job done as soon as possible. We understand how it's important for you to move into your new house on time. We got great experience in cleaning services and we are really love our job, so always doing our best to make customers happy. Any small detail is very important for us. We are sending amount of 5% from every completed job to American Childhood Cancer Organization as a donations for the kids with Cancer. Every customer is allowed to make this donations with us once the job is done or even at own desire.